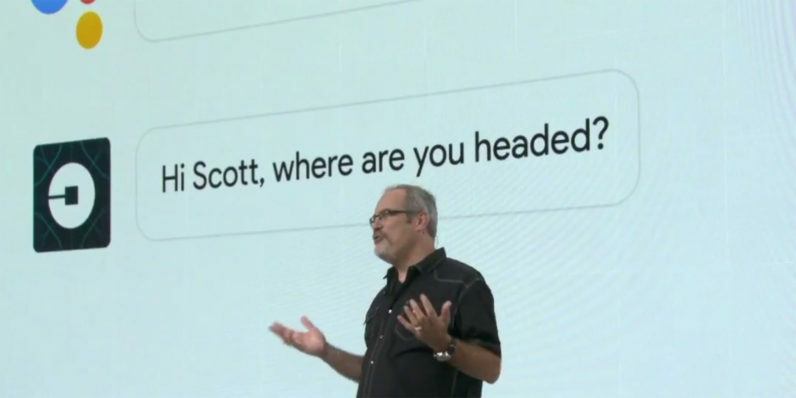 At its #madebygoogle event today, the company’s engineering lead for Google Assistant, Scott Huffman, explained how the AI-powered system would get several new features and capabilities in the days to come – and it all sounds pretty exciting. For starters, Huffman noted that, beyond featuring in Allo and Home, Assistant will be an open platform that developers can build functionality for, and also integrate the service into their own products. It’ll allow people to do things like find information about local businesses, search YouTube for videos and surface content through deep links into installed apps. To that end, Assistant will support two kinds of actions: Direct actions, which allow it to accommodate simple requests like ‘turn off the lights’, and Conversation actions, which require a bit of back-and-forth between the user and the system (such as booking an Uber to go to a specific destination). The possibilities for developers to build actions for their own services into Assistant are seemingly endless: Huffman said that the platform will allow for complex activities like ordering groceries and playing games through text, voice and hybrid interactions. In addition, natural language interactions built by developers using api.ai (which Google acquired last month) can be converted into actions for Assistant. The goal is to have these working everywhere you find a device running Google services, and to reduce the need to have specific apps installed to make those actions happen. The company will release more information about Assistant for developers in December, and it will also unveil an Embedded Assistant SDK next year to make it easy for hardware makers to integrate the service into their products. With that, Google is set to dominate the home assistant space. Amazon will certainly offer strong competition in the form of its Alexa assistant and allied products like Echo, but the search giant clearly has an advantage over the ecommerce firm as it has a wider range of gadgets and services that can work with Assistant.